San Vincenzo is just a short way away from the most beautiful beaches in Tuscany: Golfo di Baratti, Parco di Rimigliano, Parco della Sterpaia, and Isola d’Elba, which are easily reached from Piombino. For anyone who wants there are beach resorts equipped with loungers, beach umbrellas, bars and restaurants (our guests have a discount at “il Bucaniere”) or there are kilometres of public beaches that are bounded by the Mediterranean scrub. 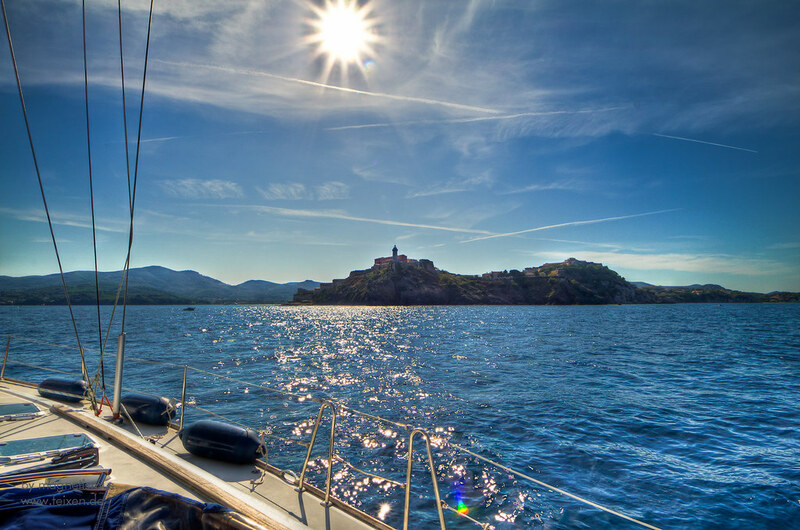 We can help you to organise boat and fishing trips or to book excursions in the nearby islands of Capraia, Isola d’Elba or Pianosa. The proverb says “Aprile, dolce dormire” (“April slumbers”) and it’s a memory, like May’s grazing light: in June everything warms up, even us. It’s the perfect time of year to start running or walking again, taking advantage of the long, long days - exercising is the best way of getting energy into your mind and your mood - not (just) for getting ready to try on your swimming costume. P.IVA e C.F. 10420690967 REA – MI – 2530346 Capitale Sociale 10.000,00 I.V.